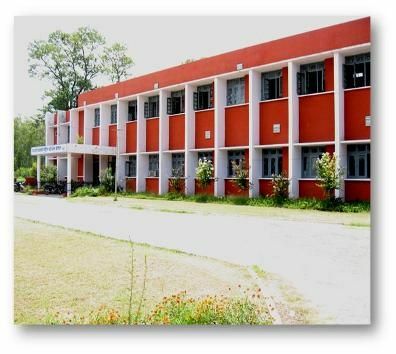 Sanmati Government College of Science Education & Research, Jagraon was established in 1968. The Jagraon town is nearly 48 Kms situated away from Ludhiana on Ludhiana-Ferozepur road. The college is on Raikot Road. The Govt. of Punjab has build this esteemed Science college for brilliant students, those who want to excel in Science stream. At present the college conducts classes for B.Sc (Med. & Non-Med.) and M.Sc (Two year Course) in Chemistry and Botany. The students of the college always figure in the university merit list. Matri Sewa Sangh,Jagraon and renowned saint Bimal Muni Maharaj Ji had put in a lot of efforts to donating 40 acres of land to the Govt of Punjab to setup the college. The College Premise have in lush up green fields and is environment friendly. The college has huge building, a canteen, water works, Botany block, Physical Education, NSS Block, Botanical garden, a stadium, conference hall, Hostel for girls and Director’s Residence. Thousands of its students are occupying top positions in Administration and other professions in India and abroad.